Wedding season is just around the corner! Now is the time to stock up on stylish and unique gifts for the home. 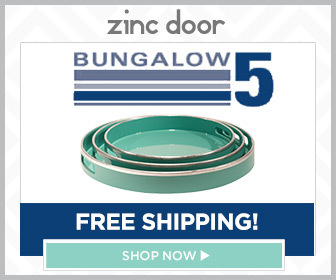 A new union means a new beginning and Zinc Door features modern furniture, accessories and decor. Plus, now through 5/14, Zinc Door is offering 10% off Regina Andrew Decor with promo code RA10 and 15% off Capel Rugs with code RUGSALE! Help the new couple decorate their new home with style. Shop the modern home decor sale now!